Phormium tenax has rigid, linear to sword-shaped leaves that emerge in a fan like manner from a stout rhizome. Single leaves can be up to three metres long and are the source of important fibres, which have been used to make clothing and other functional, everyday objects for centuries. 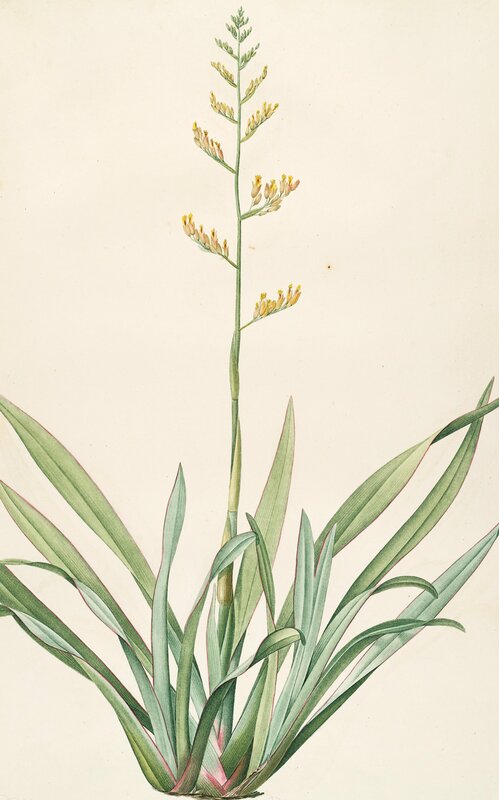 The plant, native to New Zealand and Norfolk Island, is one of two species in the genus Phormium, and inhabits lowland swamps, hillsides and intermittently flooded land. Many different varieties of Phormium tenax are cultivated as ornamentals for their variously coloured foliage, rather than for their unattractive flowers. The inflorescence is long and terminal, but the clustered flowers are dull red to orange in colour. In their natural habitat Phormium flowers produce abundant nectar and are pollinated by honey-eaters. 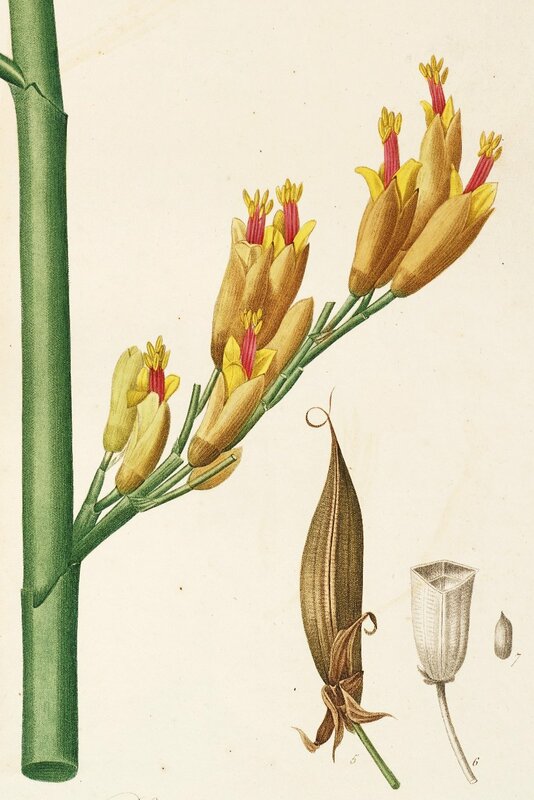 The fibre, obtained from the leaves of the New Zealand flax, is amongst the strongest known. By tearing a leaf vertically, a piece of twine can be obtained. The fibre is stronger than flax, which comes from a very different northern hemisphere species, Linum usitatissimum, in the family Linaceae. New Zealand flax, known as harakeke to the Maori, was used for making clothing, fishing nets and baskets for gathering food, even for floor coverings. The soft part of the bases of the leaves were used medicinally to stop bleeding, and it has been shown to contain blood-clotting enzymes. Examples of Maori cloaks and belts made from harakeke are held in the Pitt Rivers Museum, Oxford. These items were brought back to England by Joseph Banks and James Cook from the Endeavour voyage (1768-1771). In 1773, Joseph Banks was depicted wearing a cloak of Phormium tenax in the famous portrait by Benjamin West. 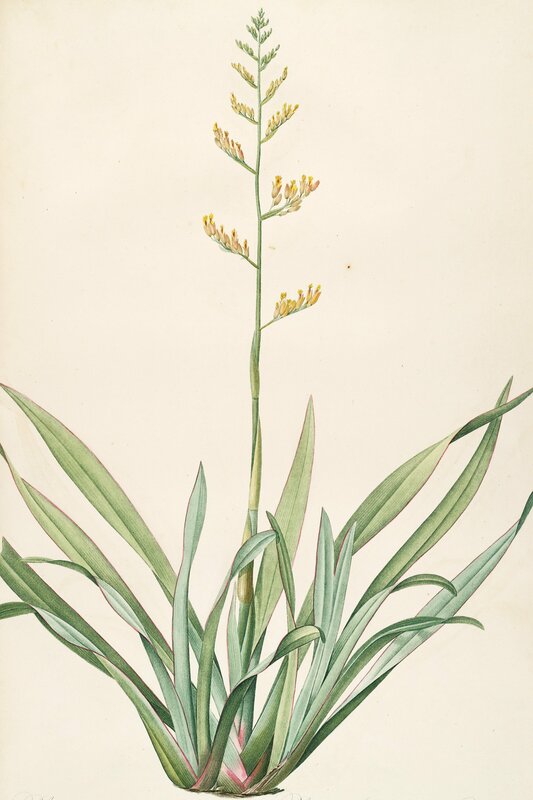 An industry growing Phormium tenax was developed in St Helena in the mid-1900s covering some 3,000 acres. The industry collapsed in the 1960s with the development of synthetic fibres, although the plant is now a harmful weed on the island. In New Zealand, Auckland and Campbell Islands, Phormium tenax is a very important plant for the continued survival of one of the rarest penguins in the world. The endangered yellow-eyed penguin chooses to nest in Phormium vegetation, as well as scrub or forest communities. Members of the Yellow-Eyed Penguin Trust are now propagating seeds taken from natural populations. They are planting resulting seedlings in the same areas from which they were collected to increase the vegetation cover for the penguins. Laing RM and Blackwell EW 1927. Plants of New Zealand. Whitcombe & Tombs Limited. Coote J 2004. Curiosities from the Endeavour. A forgotten collection. Christie's London. 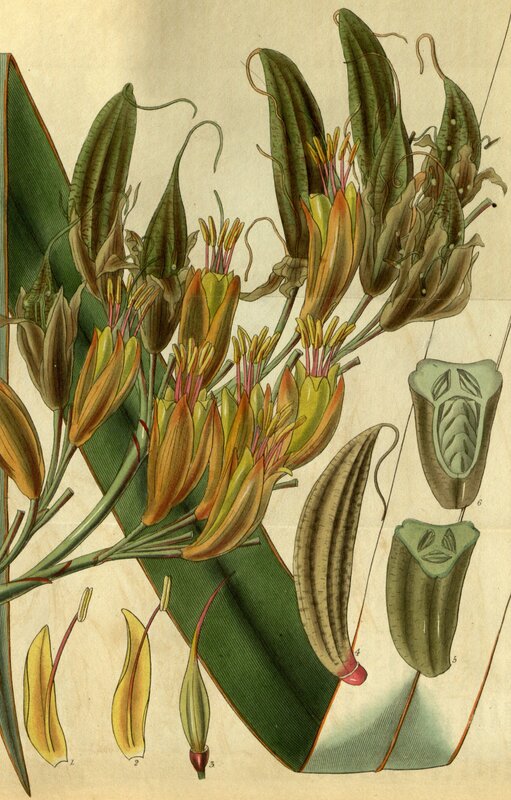 The 25th July 2021 marks 400 years of botanical research and teaching by the University of Oxford. 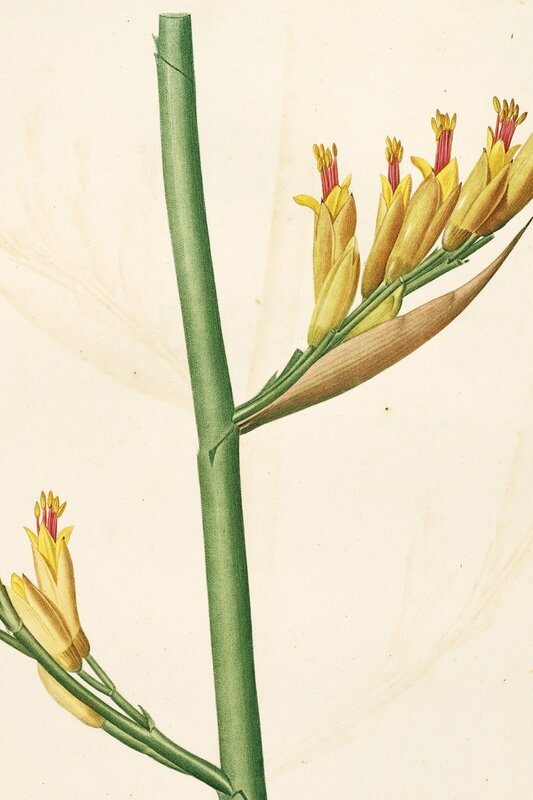 As a celebration and count-down to this anniversary, the University of Oxford Botanic Garden and Arboretum, together with the Oxford University Herbaria and the Department of Plant Sciences, will highlight 400 plants of scientific and cultural significance. 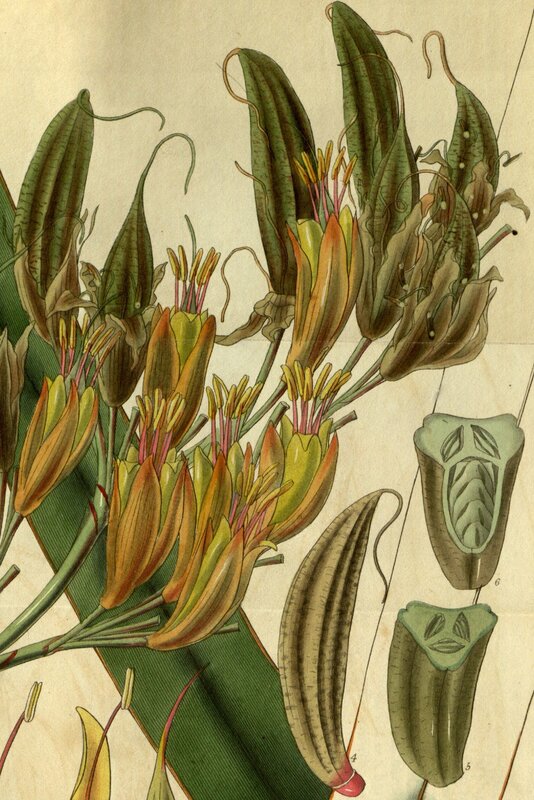 One plant will be profiled weekly, and illustrated with images from Oxford University's living and preserved collections. The data and images available on this site may only be used for scientific purposes. They may not be sold or used for commercial purposes. All images are copyright of the University of Oxford, unless otherwise indicated. The specimens at the Oxford herbaria and the living collections of the Oxford Botanic Garden and Oxford University Herbaria are being digitized using BRAHMS.